Bruce performed the song only once during the 27th Rainforest Fund Concert. Springsteen's set is comprised of three songs backed by the house band that includes a large symphony, opening with "Santa Claus Is Comin' To Town" while walking in from the back of the theatre. 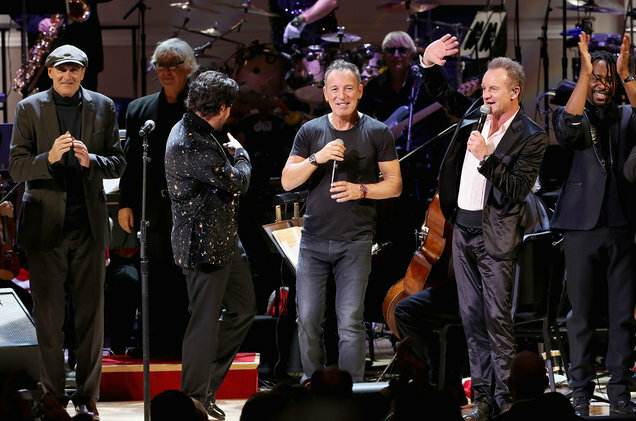 Other artists at Sting's biennial fundraiser include Darlene Love, Ronnie Spector, James Taylor, Idina Menzel, Vittorio Grigolo, Jennifer Nettles, and Sting himself. "Do You Hear What I Hear?" is a song written in October 1962, with lyrics by Noël Regney and music by Gloria Shayne Baker. The pair, married at the time, wrote it as a plea for peace during the Cuban Missile Crisis. Regney had been invited by a record producer to write a Christmas song, but he was hesitant due to the commercialism of the Christmas holiday It has sold tens of millions of copies and has been covered by hundreds of artists. Regney was inspired to write the lyrics "Said the night wind to the little lamb, 'Do you see what I see?'" and "Pray for peace, people everywhere" after watching babies being pushed in strollers on the sidewalks of New York City. 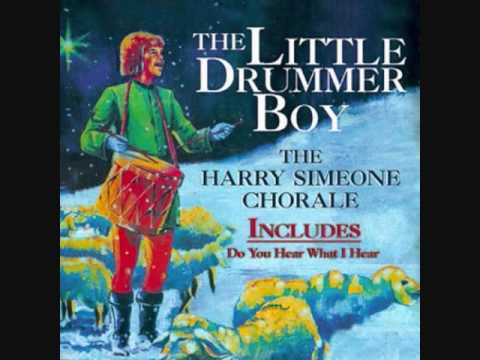 The song was originally recorded for Mercury Records by the Harry Simeone Chorale, a group which had also popularized "The Little Drummer Boy"